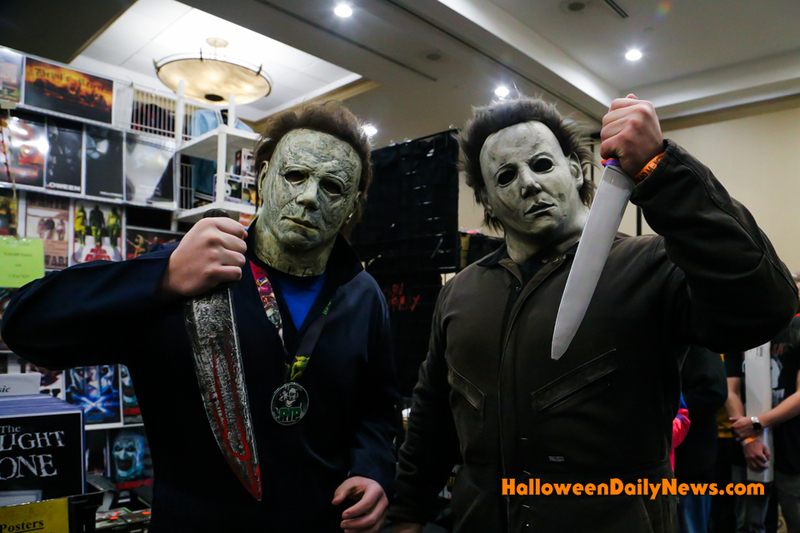 The largest event of its kind in the Carolinas, the Mad Monster Party horror convention returned to Charlotte, North Carolina, bringing yet another epic gathering of genre icons, talented vendors, and killer cosplay. James Jude Courtney, the most recent Michael Myers in Halloween 2018, made his first ever East Coast convention appearance, joining Danielle Harris (Halloween 4/5, Halloween 2007, Halloween II 2009), Sid Haig (House of 1,000 Corpses, The Devil’s Rejects, Halloween 2007), David Howard Thornton (Art the Clown in Terrifier) and his Terrifier writer/director Damien Leone (All Hallows’ Eve), legendary creature actor Doug Jones (The Shape of Water, Hocus Pocus, Hellboy), Bruce Campbell (Evil Dead, Ash vs. Evil Dead), and Kane Hodder (Friday the 13th VII-X, Hatchet I-III, Victor Crowley, Death House) at the event. Additional guests included Ray Wise (Twin Peaks, Fresh of the Boat), Mitch Pileggi (The X-Files, Shocker), Adrienne Barbeau (The Fog, Escape from New York, Tales of Halloween), Miko Hughes (Pet Sematary), and pro wrestling legends The Iron Sheik and Sgt. Slaughter. Mad Monster Party took place on Feb. 22-24, 2019 at the Hilton Charlotte University Place in Charlotte, North Carolina. Halloween Daily News was once again at this event, and we look forward to bringing you complete coverage of the entire weekend, . To begin with, our photos from Day 1, Day 2, and Day 3 have been added to the gallery below, and be sure to check back as more exclusive videos and galleries are added throughout the week from Mad Monster Party’s 2019 special events, including panel reports, interviews, Costume Contest and Madame Monster Showcase highlights, and more surprises.